We live in the last days of the ‘Last Day,’ in the days of the dawning of the "bright Morning Star" mentioned in Revelation 22:16. Watching for the coming of the Messiah is the most mentioned aspect of the twenty aspects of watching presented in chapters 5 and 6 of this last Book of the Bible. Truly Yeshua (Jesus) is coming soon, at which time the world will be totally transformed as He will reign as "King of the Jews" and all nations from Jerusalem. This is probably the most focused place on earth to watch for His coming, as it will be the place His feet will touch and we are called to prepare for His feet even in amidst of what is happening in Israel with the Arab conflict (Isaiah 60:13). Two thousand years ago, Yeshua (Jesus) said He is coming soon… We continue to watch two thousand years later than when He personally said He was coming soon. Now we most probably live in the generation of His coming. He may come for His bride any day and hour… and any minute. The Book of Revelation is the Book of Completion… This is confirmed by the many times the number seven, the number of completion is mentioned in this book. It mentions seven beatitudes, seven spirits of God, seven golden lamp-stands (the seven churches) stars (the angels of the seven churches), seven ways or keys to be over-comers, over seven blessings of overcoming, over seven times the Spirit says, "He who has ears to hear let him hear what the Spirit is saying," seven seals, seven trumpets, seven plagues and bowls filled with the wrath of God. Ten times the number of fullness (seven things or more) are mentioned that apply to the fulfilment of God’s purposes in the last days to prepare us, as His watchmen, to be His glorious church, Bride, Wife and Temple throughout eternity. The Book of Revelation… is a Revelation of Jesus Christ. The days between now and Yeshua’s return will be very difficult, probably the most difficult in the history of the world. 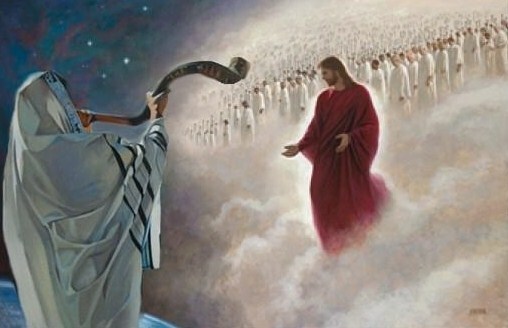 The only hope for peace is found in the One (Yeshua) who was born in the Middle East 2,000 years ago! Many breakthroughs are coming as watchmen are on the walls individually and collectively… However, the God of the "Breakthrough"… is not only using our "watches" to prepare the way for the Lord by bringing breakthroughs for individuals and nations. But, God is also using many ‘watchers’ worldwide to prepare us as obedient… worshipping watchmen and help us develop intimacy with Him to be His bride forever! 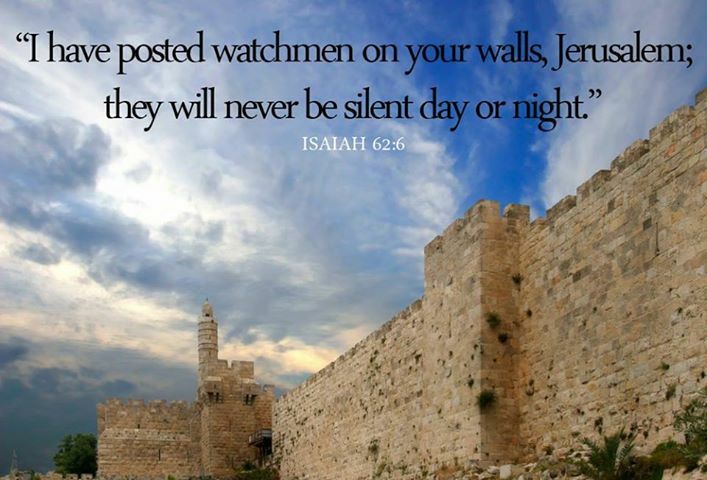 God "watches" over us… as we "watch" Him…! In our love relationship with the Lord, He watches us in a special way and we begin watching Him. May God give us His revelation that He is watching us and may we recognize and understand, day by day, that He is omniscient, He is all knowing, and His eyes are going over the whole earth! He knew us before we were conceived in our mother’s womb. He is watching over every aspect of our lives. It is interesting that in Psalm 121, the Lord said He’s watching over us and also watching over Israel. When Jacob met the Lord his name was changed to Israel (Genesis 32:27 – 28). We read in Psalm 121, "He who watches over Israel will NEVER slumber NOR sleep." Ezra and Nehemiah were rebuilding the temple and their enemies tried to stop them… But the eyes of the Lord were watching over the Jewish people… and they were NOT stopped. We can also take encouragement from this … If God’s eyes are watching over you then… He’ll stop your enemies too! As our hearts are turned towards the Lord we can be assured that He’s watching over us more closely! "For the Lord ‘watches’ over the way of the righteous, but the way of the wicked will perish," Psalm 1:6 Also; Psalm 101:6; Psalm 101:6 God says He will destroy the wicked but will watch over the righteous. If we are faithful, we will dwell with Him as His priests. "He rules forever by His power, His eyes ‘watch’ the nations." 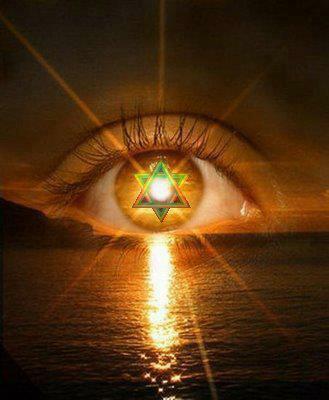 (Psalm 66:7) The God of Israel is watching over all the nations. He puts down one king and lifts up another one. God is watching and He has everything under control. "Set a guard over my mouth, O Lord; keep ‘watch’ over the door of my lips." (Psalm 141:3) The Lord is watching the words that we say and we have to give an account for all the words that we speak, including idle words. May God help us to speak words we should as He watches over the door of our lips. "My Son, keep your Father’s Commands… when you walk, they will guide you; when you sleep, they will watch over you" Proverbs 6:20, 22. Also see Jeremiah 24:6 The Lord and His Commandments are watching over us when we walk … and when we sleep! 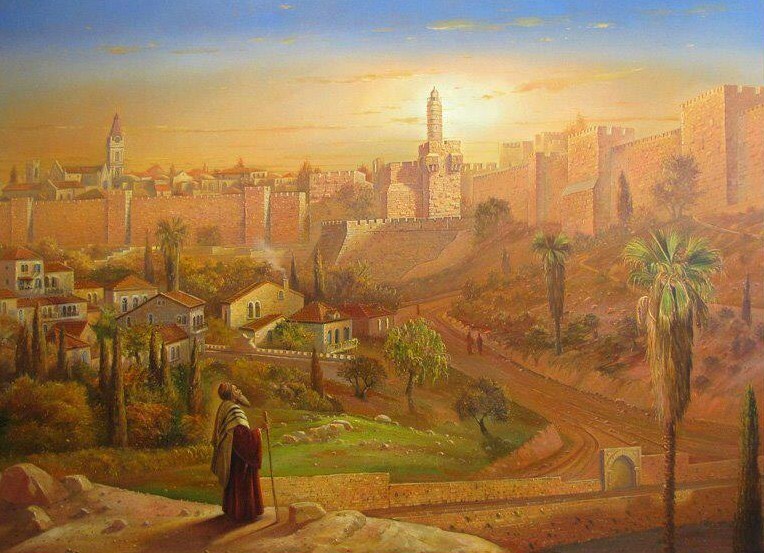 Messiah’s Watch on the Mount of Olives during years 1200’s – 1500’s… In Temple times, a procession circled the altar each day of the Sukkot (Feast of Tabernacles), saying: "Pray! O Lord, save, I pray! Pray! O Lord, give success I Pray!" On the seventh day, Hoshana Rabba ("the great Hoshana"), seven circuits were made around the Altar. Beginning in the 13th Century, when there had been no Temple for hundreds of years, the Jewish people would climb the Mount of Olives and circle its summit in a great procession of song and ceremony during each day of the Feast of Tabernacles. On the seventh day, the day of Hoshana Rabba, the procession would circle seven times around the summit of the mount, with its beautiful view of Mount Moriah and the temple site. They were; believing for… "watching" for… and preparing for Messiah’s coming! It was a widespread custom for the Jewish people to stay up during the night before Hoshana Rabba and read the whole Penteuch (the first Books of Moses) or Books of Deuteronomy and Psalms. This was to ensure that those who did not complete the required reading during the year would do so at this time. It was also a time just after Yom Kippur, the Day of Atonement. Announcements were proclaimed, communities received blessings, and public excommunications were issued. The people also prayed for rain and the New Biblical Year. Hoshana Rabba was thought to be the last day a man could receive forgiveness for his sins. They believed that the verdict of a man passed on the Day of Atonement, was sealed. The prayer of this day opened with the words; "the power (or, the truth) of Thy salvation cometh," which dealt with the splitting open of the Mount of Olives (Zechariah 14:4) and the resurrection of the dead. At the first blast… the whole world will quake. At the second blast… the soil will crumble. At the third blast… their bones will join together. At the fourth blast… their limbs will become warm. At the fifth blast… their skin will cover them. At the sixth blast… spirit and soul will enter their bodies. 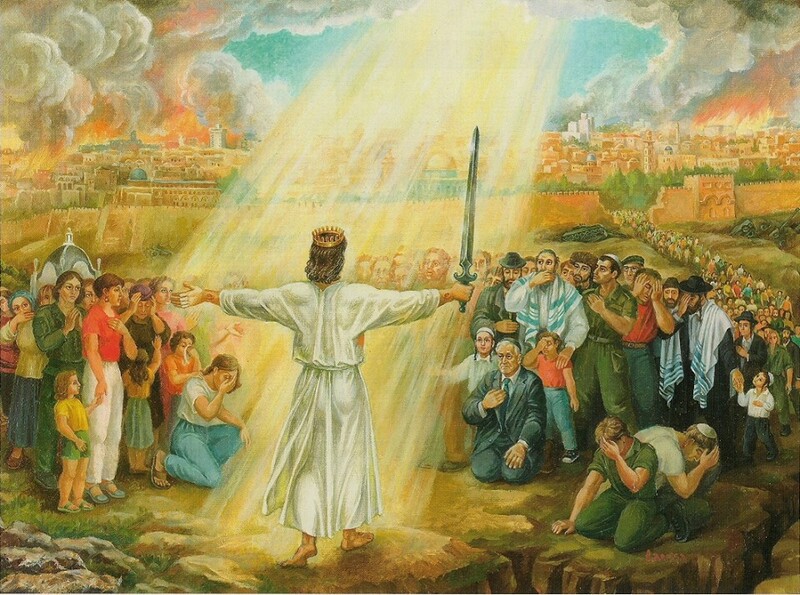 At the seventh blast… they will stand on their feet, clothed in their garments. In ancient times the word Hosea Na (Save, we pray!) were linked into one word; Hosanna (Matthew 21:9; Mark 11:9). The word served as a response or call after every section of prayer. The Jews carried willow branches, similar to the palm branches carried by Messianic believers in the first century (first church – The Way). In our time, believers also celebrate with palm branches proclaiming; "Hosanna to the Son of David!" The observance of Hoshanna Rabba continued for hundreds of years and then stopped. Along with many Jewish Messianic believers, we are believing for and preparing for the "Son of David," Yeshua (Jesus) our Messiah to come back to the Mount of Olives to bring true peace and redemption to the world. As Jews and Gentiles, may we have our sins forgiven through Messiah, and watch and work together as "One New Man" in Messiah… for His coming to the Mount of Olives and to His City of Jerusalem. Hosanna to the Son of David! 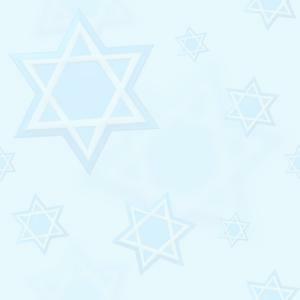 Our first commitment toward the Jewish people should always be that they be comforted and prayed for! There are two cities for which God has called everyone to pray… One of these is Jerusalem, "’Pray for the peace (SHALOM) of Jerusalem: May those who love you be secure. May there be peace within your walls and security within your citadels.’ For the sake of my brothers and friends, I will say, ‘Peace be within you.’ For the sake of the house of the LORD our GOD, I will seek your prosperity!" (Psalm 122:6 – 7) God has called everyone to pray for another city; "Also, seek the peace and prosperity of the city to which I have carried you into exile (your city). Pray to the LORD for it, because if it prospers, you too will prosper!" (Jeremiah 29:7) God may call people to pray for many cities or nations… but we must first pray for the city of Jerusalem and the nation of Israel, as well as the city or nation where we live! Watching signs of End Times…! As Yeshua taught His disciples about signs of the end of the age, He told them this parable: "Look at (watch) the fig tree and all the trees. When they sprout leaves, you can see for yourselves and know that summer is near. Even so, when you see these things happening, you know that the kingdom of God is near!" (Luke 21:29 – 31) The "fig tree" symbolizes Israel. We can see this throughout the Old Testament. The Lord is saying that when the "fig tree" (Israel)… and "all the other trees" (all nations) blossom, when they shall be sprouting leaves, we know that the coming of the Lord is near! In 1967, three things started happening that were signs of the end times. For the first time in 2,000 years, Jerusalem came under Jewish rule as Luke 21:24 says would happen; "Jerusalem will be tramples on by the Gentiles until the times of the Gentiles are fulfilled." Just like the wall in Berlin later came down… so did the wall in Jerusalem! This happened during the Six Day War, and the Jewish people went to the Western Wall of the Temple for the first time in many years as they were weeping. Yeshua (Jesus) was speaking in Luke 21 to His disciples about the "signs of the end of the age." The first twenty-four verses, in one sense, are directed more towards believers before 1967… the remaining verses, towards believers in our generation. It’s all applicable, however, because the Word of God is applicable to everyone, but much of what is mentioned in the first twenty-four verses happened in the first century. Then, verse twenty-four is transitional; "Jerusalem will be trampled on by the gentiles, until the times of the Gentiles are fulfilled!" Yeshua (Jesus) goes on to talk about the last days. Some people say that the last days began with the time of Yeshua, but we believe that Yeshua was speaking about the last generation starting in 1967. "Watch that you are not deceived…" (Luke 21:8) We need to be watchmen’s making sure everything is based according to God’s Word and holding fast to Yeshua Himself. "Watch for wars and rumours of wars…" (Luke 21:9 -10) Nation against nation… and there has not been one day in the last 250 years when there hasn’t been a war going on… and in fact with television today we get to see it taking place while in our living rooms. Incredible! "Watch for earthquakes…" (Luke 21:11) We believe that great shakings are yet to take place and that everything that can be shaken will be shaken… in the spiritual as well as the natural as we approach the coming of our Lord. Zechariah 14:4 tells us that when Yeshua’s feet touch Mount of Olives it will be split in two from east to west! "Watch for persecution and Martyrdom…" (Luke 21:12) We don’t hear people preaching on this but it was predicted by Yeshua that even brother will betray brother… "Watch for betrayal and Hatred…" (Luke 21:16 – 17) We can see this happening across the nations as Satan knows his time is short! "Watch for the times of the gentiles to be fulfilled…" (Luke 21:24) – The last generation! "Watch for the roaring and tossing of the Sea…" Like the signs in the Heavens these are signs on the earth; floods, tsunami’s etc. "Watch for terror and apprehension…" (Luke 21:26) Terrorism is happening in inconceivable ways and is on the increase… especially against Israel! The Lord has shown us that we need to pray, stand with and support Israel more than ever before! All nations of the world are going to come against Israel and against Jerusalem. It’s the land of the Bible, where our Messiah is coming back. Watch and Pray!